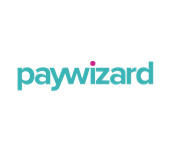 London, 3 September 2015 – Paywizard, the specialist in subscriber management for pay-TV, will be showing operators how subscriber management is the key to reducing churn and unlocking profits at this year’s IBC Show. Having recently announced its funding, the appointment of a new Chairman and a deal with NetRange, visitors to the Paywizard stand (14.G14) will see how the company is putting the subscriber back at the heart of the TV experience and helping service providers to drive profitability. During the show Guthrie will be participating in the IBC Content Everywhere panel session ‘OTT sans Frontiers’, taking place on Saturday 12 September at 15:30. In this session Guthrie will provide insights into some of the challenges operators face when taking OTT services across borders, including cultural, technical, commercial and regulatory issues. “We understand that pay-TV operators need to overcome a range of challenges when delivering multiscreen TV services – and along with delivering video across screens, creating personalised TV experiences and effectively managing marketing initiatives, reducing churn is a major hurdle to overcome. But reducing churn by just a small percentage can have a huge impact on profitability. With our Agile platform, companies can successfully lower churn rates and achieve profitable growth, ensuring they prosper in an increasingly competitive market,” concluded Guthrie. Paywizard’s Agile platform enables pay-TV operators and VOD providers to generate revenue opportunities and profitability throughout the entire pay-TV operation. It centralises data and actionable insights to drive marketing initiatives that attract new subscribers, increase customer lifetime value and ARPU while also decreasing churn. In the run up to IBC Paywizard will be launching a white paper entitled “Subscriber management: The driving force behind pay-TV profitability”, that outlines what pay-TV operators and VOD providers can do to drive profitability throughout their operations. Paywizard will be showcasing its Agile platform in Hall 14 on stand #14.G14.